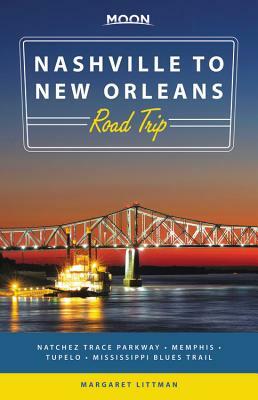 With Moon Nashville to New Orleans' practical tips, detailed itineraries, and insider's view, you're ready to fill up the tank and hit the road. Margaret Littman is both an old-timer and a relative newcomer to Nashville. After graduating from Vanderbilt University, she left Tennessee for points north over the course of her writing career. But after 17 years she could no longer resist the siren song of the Parthenon, bluegrass music, or fried pickles, so she returned to Nashville, where she writes about Music City, Southeast travel, food, pets, and more. An avid stand-up paddler, she loves being a day trip away from the Tennessee River to the south, Reelfoot Lake to the west, and Norris Dam to the east. There's nothing Margaret loves more than telling natives something they didn't know about their home state. And with 75,000 miles on her station wagon already, she has lots of ideas for little-known places to listen to music, eat barbecue, paddle a lake, hike to a waterfall, or buy works by local artists. Margaret's work has appeared in national and regional magazines, including Wine Enthusiast, Entrepreneur, The Tennessean, and many others. She is the author of several guidebooks as well as the Nashville Essential Guide. Margaret has loved lots of places she's lived, but the day she looked down and realized she was wearing cowboy boots in synagogue, she knew she had become a Nashvillian.